There are many ways people differ. Bill Hybels observes there are cat people and there are dog people. There are tennis people and there are golf people. Some people like to sleep with the windows open and some people prefer to sleep with the windows closed – and they are usually married to each other. Some people keep a pen and notepad by the telephone while other people just have children. There are breakfast people and there are people who don’t remember what breakfast is. There are A type people and there are the rest of you. There are Tigger people and there are Eyore people. There are blue sky optimist people and there are chicken little – sky falling in people. And every team has at least one of each. When it comes to finances, some are cheque book people and some are cash people. There are Windsor farm shop – John Lewis – Waitrose people and there are Staines market – Poundland people. There are carefully balanced every month cheque book people and there are shut the cheque account down every two years and start over people. And you know who you are. There are people with stock brokers and there are people perfectly capable of going broke without them. We were all brought up differently. But we all have one thing in common. We have a range of assets, talents and skills that we can invest or waste, use or lose. 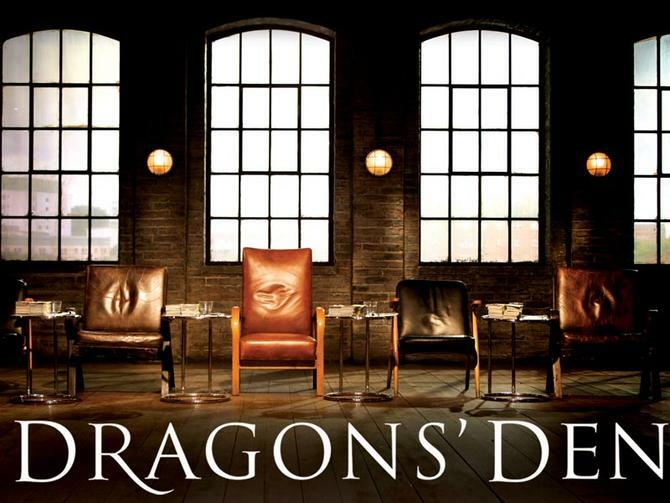 In Luke 19 Jesus told a parable – I’ve called it the Parable of the Dragons’ Den, because whether you love or hate the programme, the fact is God has invested significant assets in you and he expects a return on his investment. I invite you to turn to Luke 19 with me. You’ll remember that Herod the Great was king at the time of the birth of Jesus. He had directed the magi to go to Bethlehem, locate the newborn king, then tell him, so he could identify and execute any rival. Mary and Joseph escaped with Jesus so Herod exacted revenge on all the other families living in and around Bethlehem. He was Herod the Great Murderer. But when Herod died, there was confusion over his will (he had made six). Two of his sons, Antipas and Archelaus claimed the throne. Archelaus tried to outwit his brothers and travelled to Rome to ask Caesar Augustus to give him the throne. The Jews were outraged with the prospect of Archelaus because he was as brutal as his father. They sent an official delegation of 50 of the leading Jews to Rome to oppose him. Augustus didn’t crown Archelaus, instead he made him a ruler of Judea, and gave Galilee to Herod’s son, Antipas, and the region east of the Jordan to Herod’s other surviving son, Phillip. Archelaus was so angry that when he returned to Jerusalem, he had thousands of Jews who had opposed him put to death. After the death of Herod the Great, when Joseph and Mary returned from exile in Egypt, Matthew 2:22 says when they heard Archelaus was ruler of Judea, they went to Galilee to hide. So this is more than a fictional story. It’s based on real events Mary and Joseph would have talked to Jesus about as a boy. So when Jesus told this story, those who heard would have shuddered. Its likely everyone listening to Jesus could name a relative Archelaus or his father had had murdered. Archelaus was so brutal, the Jews and Samaritans united to depose him and Caesar eventually removed him. His brother Antipas was then given charge over both Galilee and Judea. So Jesus is now approaching Jerusalem. Many believed he would take the crown from Antipas, destroy the Romans and inaugurate the kingdom of God. That is why Jesus told this particular story on this particular day. Jesus is indeed the true king but not the kind they were expecting, not on their terms and not on their timescale. What about our expectations of Jesus? What principles can we glean from these opening verses? There are two kinds of people in Jesus’ story, just as there are in the world today. Servants and subjects. The servants were entrusted with some of his wealth and given a job to do while he was away. His subjects, however, opposed his rule. Sound familiar? Rick Warren says when you are rowing the boat you don’t have time to rock it. Notice in this parable the noble man gave each of his ten servants the same amount of money – a mina is about three months wages. The Greek word for “put to work” means pragmatia from which we get the word ‘pragmatic’. It suggests a degree of individual initiative and creativity in the way they were to put his money to work. Isn’t that true for us also? I can think of three things we are given in equal amounts. 1.1 Time: Look at your watch. Yours is ticking at the same speed as mine. We each have 24 hours a day in which to accomplish God’s will. We have all been given enough time. 1.2 Truth: Look at your bible. It’s the same as mine. We each have the same instruction manual, the same amount of truth revealed. Some may have memorised more of it than others but we all have equal access to God’s revealed truth. 1.3 Task: Look at your hands. We are his servants and he expects us to work. The word translated servants, actually means ‘slave’. We are his slaves entrusted with his resources. We may have different talents and different assignments but we have all been entrusted with time, with the truth and with tasks. Jesus is the King. We are his servants. Never forget it. In verse 16 we learn how the first servant used his mina while his master was gone. He reports that his mina has made ten minas more! That’s quite a dramatic increase – a 10 fold one! Certainly if I knew of a fund manager, who could turn £10,000 into £100,000 I’d be quite impressed! And the new king is impressed! In verse 17, he congratulates the servant, “Well done, good servant” Not only does the servant receive commendation from the king, but he also receives a reward – authority over 10 cities. A mina was a pittance in comparison to a city – yet because the servant had proved faithful in a small thing, he was given responsibility over something much greater. In the same way – what God has given us – our money, time, resources and talents – is nothing compared to the wonderful things He will give us in eternity – but only if we prove faithful with what He has given us now. Just as Archelaus left Judea and traveled to Rome, so Jesus was crucified, resurrected and ascended into heaven to be crowned. Just as Archelaus returned from Rome to become the ruler, so one day soon, Jesus will return to planet earth as king of kings. Do you see the simple logic of this story. Because Jesus is King, we are his servants. Because we are his servants we are accountable for the resources he has entrusted to us. About once a year I meet with a financial advisor. Its usually a short meeting because I don’t have much and then we go and play golf. He asks me a series of questions. He wants to know about my goals. About what I want to achieve with my assets. Imagine if he said, “You know what, my kids have been nagging me for months about building a swimming pool. Thank you for entrusting your finances to me. With your money I can give my kids what they want.” I’m really not interested in his goals for my money. He gets to keep the job on one condition – Whether he achieves my goals not his. The most important question you can ask yourself on a regular basis is this. Am I advancing the cause of my Lord and King? Am I achieving his goals with his resources entrusted to me? When the church family figures out how to achieve God’s goals with God’s resources, miracles happen. The lost get found, believers are built up, needs get met, God gets glorified and his kingdom gets extended. Jesus is the King: We are his servants. Jesus is Returning: We are accountable. It’s not pretty, but verse 27 describes what will happen to those who haven’t surrendered to the Lordship of Jesus when He returns. In the parable, the King executed them. There is no other way to put it. I pray you won’t reject God’s free gift of eternal life in Jesus Christ. In verse 21 the unfaithful servant reported he was afraid of the King, so he hid the money. If you feel the nobleman in the story is hard on the man, describing him as ‘wicked’ ask yourself what he was doing while his Lord and King was away? His excuse was, “I knew you were a hard man, and you reap what you don’t sow.” The other servants didn’t say that. They considered the King to be a fair man who would reward their faithful service. The king now uses the servant’s own words to judge him. Using the servant’s own logic, the king reasons that if the servant thought he was a hard taskmaster, then he should have been all the more motivated to put the money to use. The King took the mina away from him and gave it to the one who had ten. The witnesses, cried out, “that’s not fair!” Jesus replied, “Use It or Lose It!” That may sound unfair to you, but it’s a principle woven into our universe. Think about it – it’s true of your muscles. Use them or lose them! Lie in a hospital bed for a week without exercise, and you’ll lose your strength. Atrophy occurs when muscles aren’t used. That’s why physical therapy, exercise, and rehabilitation are so important after you have been hospitalized. It’s true of your muscles. It’s true of your mind. It’s also true of your soul. If you don’t use God’s resources you may lose them. If you aren’t actively doing the Kings business, you may lose the ability or the desire to do his business. The first and second servants were spiritual entrepreneurs. They got busy and invested their mina doing business for their master. They started with the same amount as the unfaithful servant–they just did something with their mina, while he hid his. Life is all about taking the training opportunities God gives us and going for it! There were ten servants in the parable who were each given a mina. Only three reported back: Where are the other seven? Maybe we are the other servants, and the end of the story won’t be written until we also stand before the Lord and He evaluates us. One day you and I will stand before Jesus and He’ll ask us, “What did you do with all that time I gave you?” “What did you do with the truth you knew about me?” “What did you do with those opportunities to serve me through others?” God has given each of us – one life. What are you doing with yours? “The end of all things is near. Therefore be clear minded and self controlled so that you can pray. Above all, love each other deeply, because love covers over a multitude of sins. Offer hospitality to one another without grumbling. Each one should use whatever gift he has received to serve others faithfully administering God’s grace in its various forms.” (1 Peter 4:7-10). So, remember when ever you look at your watch, when ever you look at your bible, when ever you look at your hands, that: Jesus is the King: We are his servants. Jesus is Returning: We are accountable. Jesus will Judge: We are in training. God is looking for entrepreneurs who are willing to risk their lives doing His business. God is expecting a return on his investment. The Dragon’s Den may be entertainment, but serving the King is far, far more fulfilling. As will, one day hearing Him say, “Well done, good and faithful servant!” Lets pray. This entry was posted in Bible, Sermons, Theology on October 2, 2013 by Stephen Sizer.